This chapter sets out crucial ethical and legal issues raised both by existing targeted genetic testing and, more importantly, by the rising tide of broader genomic tests, such as whole-genome sequencing (WGS). Clinical genetic testing has been available for over 45 years, but not all the concerns have been resolved. The chapter discusses those concerns in traditional targeted testing in five categories: the decision whether to test, the tests’ accuracy, conveying the results to patients, direct-to-consumer testing, and a variety of other concerns. It then discusses intermediate forms of testing, tests such as multiplex tandem mass spectrometry and SNP arrays, which do more than provide information about a handful of genetic variants but also do not provide powerful information about many disease-linked variants. It ends by discussing how WGS and other “broad” tests will greatly exacerbate the ethical and legal problems of existing testing methods, particularly with respect to accuracy, conveying results, and confidentiality. Am College Med Genet, Points to consider in the clinical application of genomic sequencing. 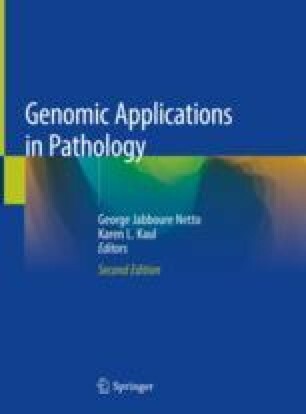 2012. http://www.acmg.net/StaticContent/PPG/Clinical_Application_of_Genomic_Sequencing.pdf. Accessed 5 Jul 2013. Gibbs JN. LDTs: the Saga continues, Update Magazine. 2017. https://www.fdli.org/2017/04/ldts-saga-continues/. Genome Web. Lab group submits citizen petition against FDA regulation of lab developed tests. 2013. http://www.genomeweb.com/print/1237821?hq_e=el&hq_m=1588054&hq_l=1&hq_v=162223e076. Accessed 24 Aug 2013. Gottlieb S. Remarks by Dr. Gottlieb at the American rClinical Laboratory Association Annual Meeting. 2018. https://www.fda.gov/NewsEvents/Speeches/ucm599551.htm. Am College Med Genet. ACMG statement on direct-to-consumer genetic testing. 2008. https://www.acmg.net/docs/ACMG_Statement_on_DTC_4.07.08.pdf..
FDA. FDA allows marketing of first direct-to-consumer tests that provide genetic risk information for certain conditions. 2017. https://www.fda.gov/NewsEvents/Newsroom/PressAnnouncements/ucm551185.htm. Weintraub A. FDA clears 23AndMe's DTC breast Cancer gene test -- but 'Buyer beware', Forbes. 2018. https://www.forbes.com/sites/arleneweintraub/2018/03/06/fda-clears-23andmes-dtc-breast-cancer-gene-test-but-buyer-beware/#230563a63c1e. Nakashima E. From DNA for family, a tool to make arrests, Wash Post. 2008. At http://www.washingtonpost.com/wp-dyn/content/article/2008/04/20/AR2008042002388.html. Kaiser J. NIH studies explore promise of sequencing babies’ genomes, Science. 2013. http://www.sciencemag.org/news/2013/09/nih-studies-explore-promise-sequencing-babies-genomes. Ray T. Mother's negligence suit against Quest's Athena could broadly impact genetic testing labs, Genome Web. 2016. https://www.genomeweb.com/molecular-diagnostics/mothers-negligence-suit-against-quests-athena-could-broadly-impact-genetic. Genome Web, Foundation medicine preliminary Q4 revenues up 70 percent, Genome Web. 2018. https://www.genomeweb.com/molecular-diagnostics/foundation-medicine-preliminary-q4-revenues-70-percent. Global Alliance. Creating a global alliance to enable responsible sharing of genomic and clinical data. 2013. http://www.broadinstitute.org/news/globalalliance. Accessed 2 Sept 2013. Am College Med Genet. Incidental findings in clinical genomics: a clarification. 2013. www.acmg.net/docs/Incidental_Findings_in_Clinical_Genomics_A_Clarification.pdf. Accessed 5 Jul 2013.